Please note: Due to a very full schedule, KL will not be accepting any new critique jobs until June of 2019. You can meet with her at her Highlights Foundation workshop, Novel Beginnings: Building Strong Foundations for Your Novel and Your Career, June 21-14, 2018. Looking for professional editorial services? Manuscript critiques can be a wonderful way to take your writing skills to the next level. Unlike how-to books, a manuscript critique targets your specific strengths and weaknesses. A good critique offers valuable insights into your unique work, while also providing lessons that can be applied to all of your future writing. Critiques give you a chance to receive unbiased, trained analysis, and provide detailed information about how an editor or agent would evaluate your story. Why do I provide manuscript critique services? Honestly, because I LOVE doing them. I’ve been doing manuscript critique work ever since my days working at Curtis Brown, Ltd. (one of our oldest and most esteemed literary agencies: www.curtisbrown.com). Since then, I’ve written hundreds of reader’s reports for agents and aspiring authors, analyzing every kind of literature. In my experience, the best time to receive a manuscript critique is when you feel the manuscript is submission ready. In other words, when you have reached a point where you’ve exhausted your ability to improve the work on your own. 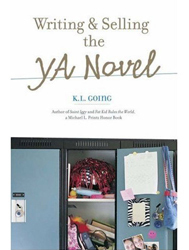 Find Writing & Selling the YA Novel at your library! When sending your novel out for professional critique, you want to get the most out of the experience, so consider whether or not you’ve done your homework. Do you know the genre you’re writing in? Have you read at least one professional book on the subject of crafting a novel? Do you understand the basics of professional submission? Have you completed the book and revised it at least once? Remember, you’re paying for a secondary level of story expertise combined with inside knowledge of the publishing industry. If you time your critique well, you’ll have the best opportunity to move your work from good to great. Professional critiques represent an investment of time, money, and commitment to long-term writing goals. They require a willingness to accept critical review and a mind open to new ideas. If you’re on the fence about whether a manuscript critique is the right step for you, it might help to read more about my writing/editing philosophy and my ideal client. You might also want to read a sample critique to give you a small taste of what I offer. If you’re set to take the next steps, here are some business details you should know. I’ll provide a two page (minimum) report outlining areas of your work that need improvement and offering my suggestions for strengthening your work. (Reports vary in length and are often much longer than two pages.) A manuscript critique generally comments on all aspects of the writing craft — plot, voice, characters, setting, pacing, consistency and writing style. I look at these elements on an individual level, and I also analyze how they’re functioning as a whole from beginning, middle, to end. In addition, I write comments directly on the pages of the manuscript as I read. These range from line or word deletions, to thoughts about the larger themes that appear in the accompanying report. I find that the report and the margin notes work well together, each illuminating the other. As an author, I’ve also found that specific margin notes provide me with insights into how a reader is feeling, and whether they’re reacting as I intended. I only critique complete novels. Unfortunately, I don’t critique partials, picture books, novellas, non-fiction, scripts, short stories, or translations. This is strictly due to time constraints. I critique all of the above for workshops, conferences, and specific events. I will read novels for any age and in any genre. My tastes as a reader range broadly, but I especially love fantasy, romance, historical fiction, and of course, anything written for young people. All manuscripts must be double spaced. Top and bottom of page 1″ margin, left and right 1.25″ margin. Font should be Times New Roman 12pt. (Courier and Courier New are also acceptable.) Print on one side of the paper only. Your last name and one key word from your title should be on every page along with a page number. I don’t accept electronic documents. Manuscripts should be sent unbound. You should submit your work exactly as you would send it to an agent or editor who requested your novel. Let this be your trial run. I charge $2.50/per page, plus a $10 fee for return postage (or you can wave the return postage and include an SASE instead). This rate is negotiable. If you think you’re a good candidate for a critique, don’t let the cost stop you from inquiring. I accept checks and PayPal. Since I’m often working on deadline, I only do manuscript critique work after I’ve turned my own book in to my editor. This means I take on fewer clients than most editors, and I ask my potential clients to be flexible with timing their critique. If you are interested in a critique you should e-mail me. As soon as I have a time slot available I’ll let you know and you can send me your manuscript. I realize this requires a bit of patience, but the flip side is, I generally read and respond to material very quickly once I receive it. My comments on your manuscript, even if I offer rave reviews, can in no way serve as an advance blurb for your novel or a recommendation to potential editors or agents. Although I’d love to promote every aspiring author, my name would quickly lose its value if everyone I critiqued had an automatic blurb/recommendation from KL Going. Sorry! If you’ve contacted me and arranged a critique, you can download and print a copy of my legal document here. 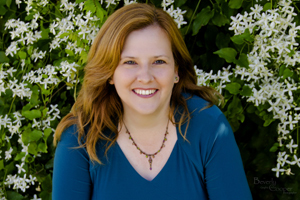 “After finishing my upper middle-grade novel, I began querying agents. I received plenty of requests for the manuscript, but no offers of representation. The rejections were encouraging but not helpful in terms of revision, which is why I decided to get professional advice. When K.L. Going asked me if there were any specific issues I’d like her to address, I wrote back, “What will give my story the oomph that will make an agent ‘fall in love’ with it?” Talk about a vague request! However, she didn’t skirt my question. In her critique letter, Going asked so many provocative questions and made so many interesting suggestions, I began scribbling down thoughts immediately. But most of all, I appreciated the thinking she did on what could help my ms. toward a sale. She pointed out that it’s always the characters that make readers fall in love with a book — especially characters with darkness at the edges of their personalities. Her input gave me a clear understanding of what I needed to focus on in my next revision.